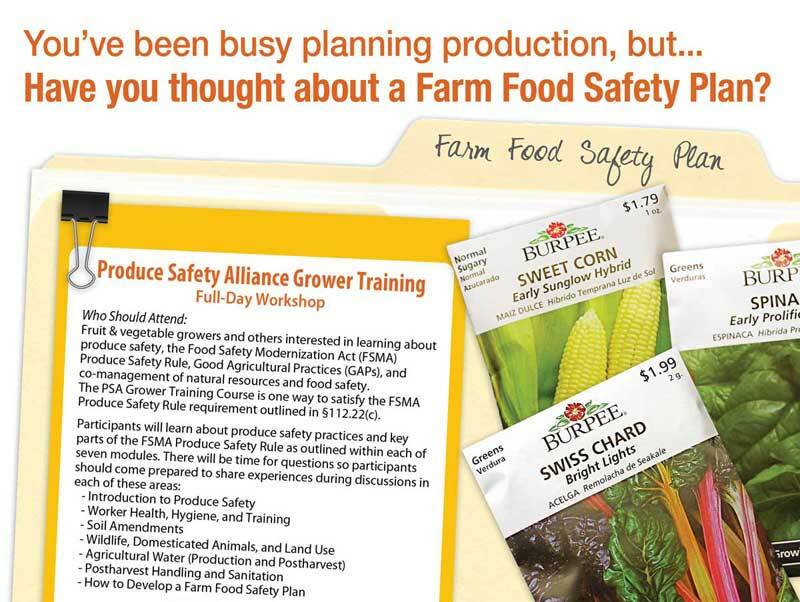 Registration deadline has been extended, but please register TODAY to insure we have adequate training books available! Registration includes lunch, training materials, and free post-workshop water testing provided by KSRE. 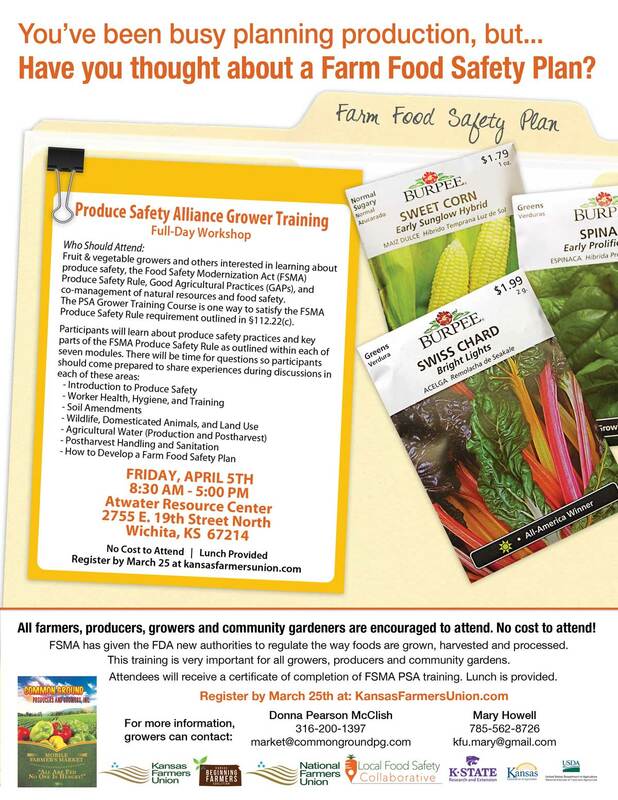 Workshop sponsors include: Common Ground Producers and Growers/Common Ground Mobile Market, Kansas Farmers Union, the National Farmers Union’s Local Food Safety Collaborative project, K-State Research and Extension, and Kansas Department of Agriculture. Lead trainers are Cal Jamerson, KSRE, and Billy Mitchell from National Farmers Union.